BOF Hotel Uludag has 167 rooms. BOF Hotel Uludag in Uludağ 2nd Regional District is located 35 km from Bursa city center, 89 km from Bursa Yenişehir Airport, 182 from Sabiha Gökçen Airport and 462 km from Esenboğa Airport. BOF Hotel Uludag is included in Uludağ single card system, lifts are extra charge. Practice to Mine Ski Lift, My Mountain Telescope, Keggözler Telescope, Monte Baia Telescope, Karinna Telescope, Kartanesi Telescope, Mandra Telescope, Honorary Lift, Belvü Telescope, Gondola, Belly Chair Lift, Beceren-1 Telescope, Beceren-2 Telescope, Alkoçlar Telescope, Italian Telescope , Tally chair lifts, Karkay chairlift, Heavenly chair lifts and telescope, including Printer. Monte Baia Hotel Uludag There are 186 comfortable rooms with 183 standard rooms providing accommodation for up to 6 persons for 2 persons, 1 disabled suite and 2 suites, which are magnificent views from Uludag to Gemlik Gulf. Monte Baia Hotel Uludag overlooks the mountain landscape and stands out with ease in the room. The "detachable" ski lifts are able to reach a distance of 2 km in only 4 minutes with only 6 minutes. 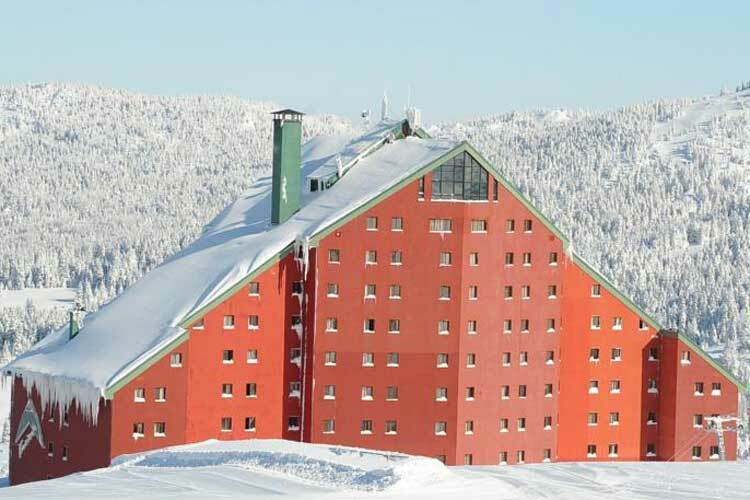 Monte Baia Hotel Uludag is the right choice for winter sports. Monte Baia Hotel Uludag is directly accessible from the lake, with 5 'telescopes' and 2 'ski lifts' at 5450 meters and 9000 meters long runways serving ski and snowboard enthusiasts. Located in the 2nd district of Uludağ, Kaya Uludag Hotel is located 30 km from Bursa city center, 89 km from Bursa Yenişehir Airport and 145 km from Istanbul Sabiha Gökçen Airport. Kaya Uludag Hotel Lift outlets and skipass are extra charge. Kaya Uludag Hotel has been included in the single card system offered for a fee. Practice Mining Chair, Body Terbiye Telescopic, Kırkgözler Telescopic, Mandra Telescopic, Honorary Chairlift, Agaoglu Chair Lift, Belvü Telescope, Kuşaklıkaya Chair Lift, Beceren-1 Telescope, Beceren-2 Telescope, Alkoçlar Telescope, Italian, Telescopes and ski lifts. Uludag is a winter season. Climbing the mountain leaves Bursa's glittering lights in the lights of Agaoğlu My Mountain Hotel Uludag where the pine forests of the stars and white snow adorn it. 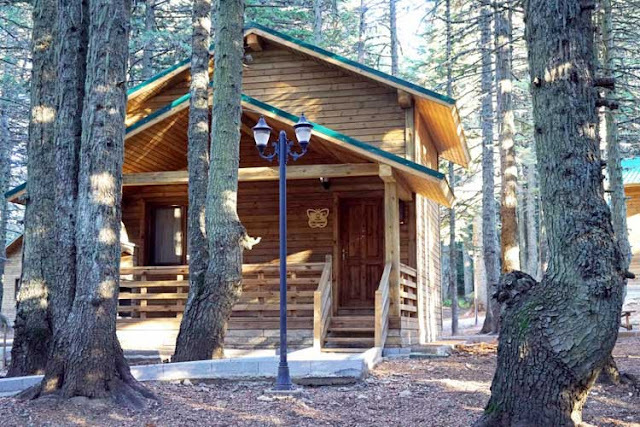 Agaoğlu My Mountain Hotel Uludag 2nd Region is located 35 km from Agaoğlu My Mountain Hotel Uludag Bursa city center, 87 km from Yenişehir Airport, 182 km from Sabiha Gökçen Airport and 462 km from Esenboğa Airport. Lift exits are extra charge. Agaoğlu My Mountain Hotel Uludag included in my mountain single card system, lifts are extra charge. Practice to Mine Ski Lift, My Mountain Telescope, Keggözler Telescope, Monte Baia Telescope, Karinna Telescope, Kartanesi Telescope, Mandra Telescope, Honorary Lift, Belvü Telescope, Gondola, Belly Chair Lift, Beceren-1 Telescope, Beceren-2 Telescope, Alkoçlar Telescope, Italian Telescope , Tally chair lifts, Karkay chairlift, Heavenly chair lifts and telescope, including Printer. Karinna Ahsap Orman Koskleri Uludag offer comfortable service for its guests with 21 forest cottages in Uludag hotels area. Nearby you can do winter sports in Uludag Ski Center. Karinna Ahsap Orman Koskleri Uludag,Uludag Hotels zone is about 700 meters away. Bursa Yenişehir Airport is 84 km. Away. 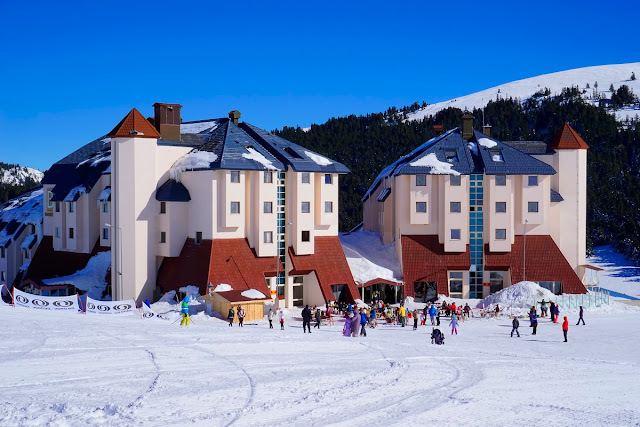 Karinna Hotel Convention & Spa Uludag located at Uludag's which is Turkey's most popular ski resort summit with its elegant architecture and superior service quality gives a dream of winter holiday for ski and snowboard enthusiasts. Designed for comfort and peace seekers Karinna Hotel Convention & Spa Uludag offers more than just a mountain hotel with a customized approach for comfort and satisfaction of each guest. Karinna Hotel Convention & Spa Uludag located in Second Uludag Hotels Zone, making the perfect hosting for meetings and conferences, allows you to move your body and soul to the summit of serenity with its SPA services. In Karinna Hotel Convention & Spa Uludag there are totally 250 comfortable rooms; 2 King Suite, 3 Princess Suite, 13 Junior Suites with spectacular views to the Gemlik Bay from Uludag's summit, 3 Family Room, 4 Connection Room, 2 Handicap Room and 223 standard rooms which offer accommodation from 2 to 5 persons Karinna Hotel Convention & Spa Uludag dominates the mountain scenery in your room which stands out easily in decoration. Carpet, hair dryer, safe, minibar, heating, satellite TV, WC, bath comes as standard. What is left for you is enjoy staying in your room. The rich variety of entertainment for children are available in Karinna Hotel Convention & Spa Uludag. Karinna Hotel Convention & Spa Uludag along with a restaurant, this smoke-free hotel has a bar/lounge and a coffee shop/café. Other amenities include a sauna, valet parking, and coffee/tea in a common area. 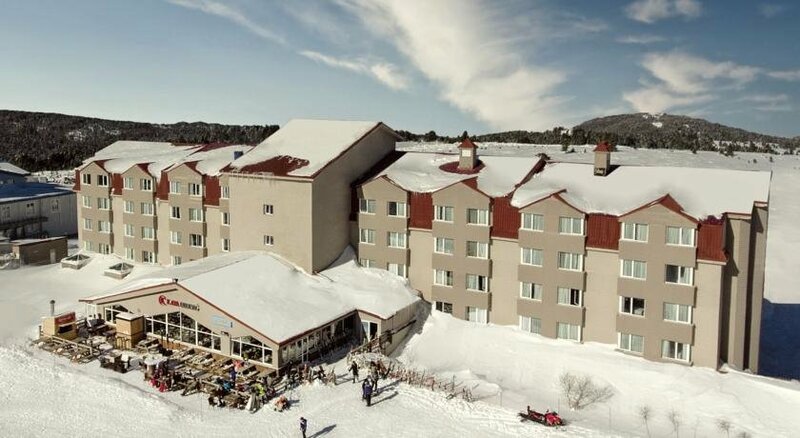 Karinna Hotel Convention & Spa Uludag located at Uludag's summit in the middle of the endless whiteness, serves as a world-class ski and snowboard center with its own lifts and it is an indispensable meeting point for winter sports enthusiasts with ski school. Located at Uludag's 2nd development zone, Karinna Hotel Convention & Spa Uludag is 1 km distant to Zone, and 35 km to Bursa and offers missed holidays with its minimalist lines and the dynamic lifestyle. Karinna Hotel Convention & Spa Uludag with its exclusive cuisine, offers its guests international and traditional flavors from the hands of master chefs. The restaurant with a capacity of 1,000 people; waits its guests whose appettite are worked up by the fresh mountain air with delicious tastes of breakfast, lunch and dinner. Both Karinna Hotel Convention & Spa Uludag guests anf those who wish to enjoy the mountain for a single day prefers Kafe Karya for a hot break. It is an exclusive pressure to eat indispensable flavor of sausage bread, to drink hot wine or orchid and to drink coffeegainst fireplace on the mountain in Kafe Karya. The tiredness of the day is relieved against the fireplace in Chilli Lounge Lobby Bar; by 5:00 o’clock tea and refreshments accompanied beautiful music.